The HXR-NX3/1 is a replacement model of the HXR-NX3 with battery and charger supplied. It is a professional camcorder that features G Lens with three control rings, four steps of ND Filters, and switch-type WB presets and gain settings to provide the common operability of conventional professional handheld camcorders. The HXR-NX3/1 incorporates three 1/2.8" type Exmor CMOS sensors for outstanding image quality. Dual media slots allow simultaneous or relay recording in AVCHD 2.0 (up to 1080/60p) format. There is also a Slow & Quick Motion feature that achieves smooth 2.5x slow motion when recording at 24p or 60x quick motion when 1 frame per second is recorded in 60p. In addition to the 20x optical zoom, Clear Image Zoom with Super Resolution Technology provides an extended 40x zoom range with excellent clarity and detail and virtually no effective pixel loss. 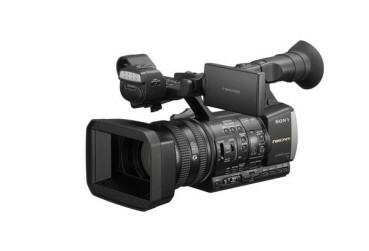 A built-in LED light, Wi-Fi/NFC remote control capability, and a larger 3.5 inch LCD panel for enhanced viewing add to the versatility of this multi-purpose camcorder, putting the finishing touches on an advanced system that offers unprecedented video recording freedom. NP-F770 InfoLithium L Series Rechargeable Battery Package supplied. AC-VL1 InfoLithium L Series Battery Charger supplied.